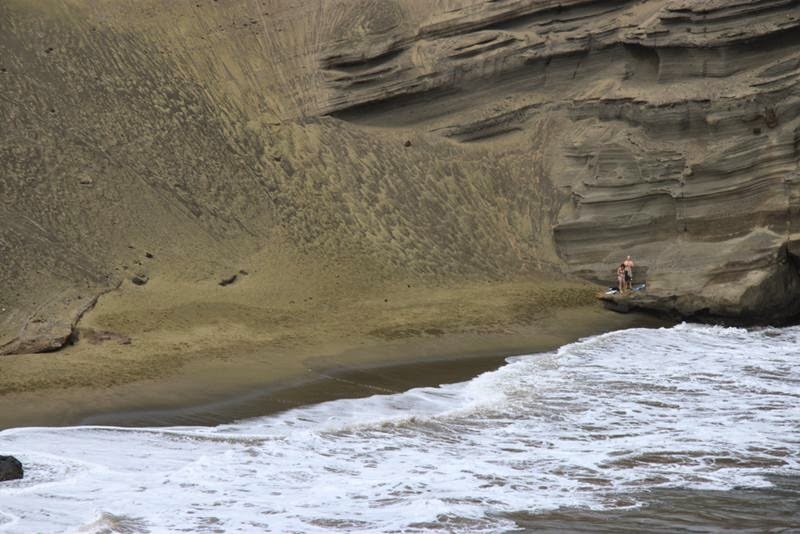 Papakolea Beach, with green sand, located on the island of Hawaii. 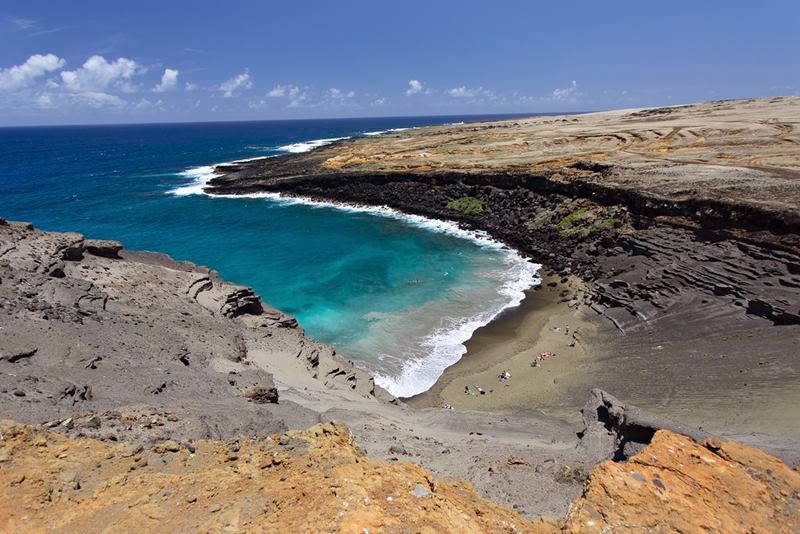 Also called "Mahana Beach" or "Green Sands Beach". 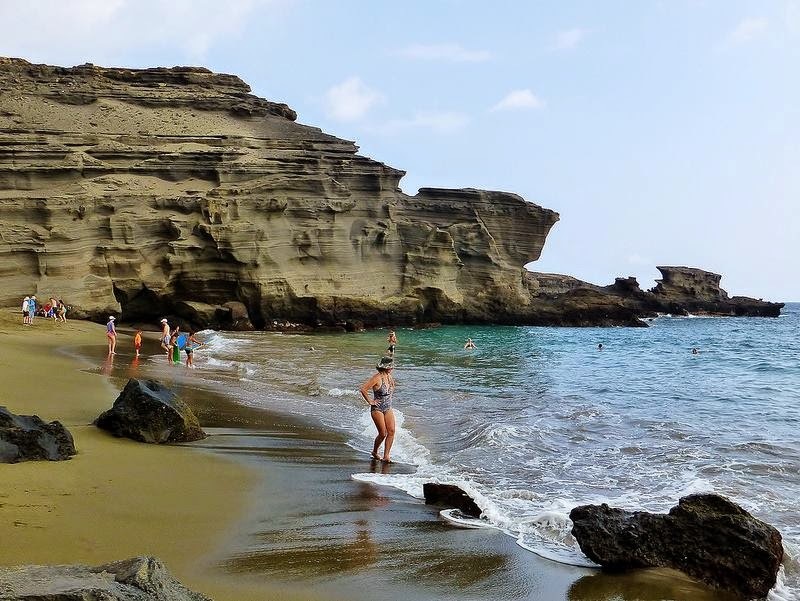 The beach is surrounded by cliffs on both sides and only one side has access to the ocean. 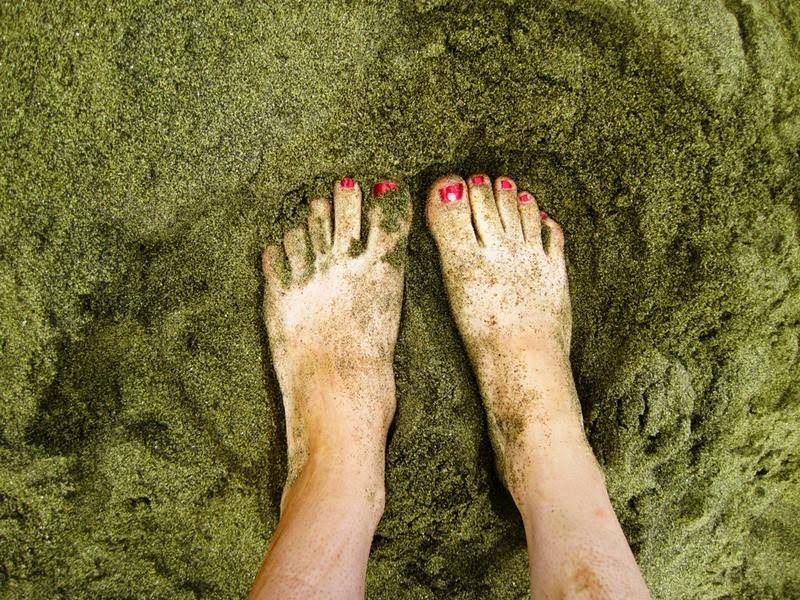 There is only four green sand beaches in the world, the others being Talofofo Beach, Guam, Punta Cormorant on Floreana Island in the Galapagos Islands, and Hornindalsvatnet, Norway. 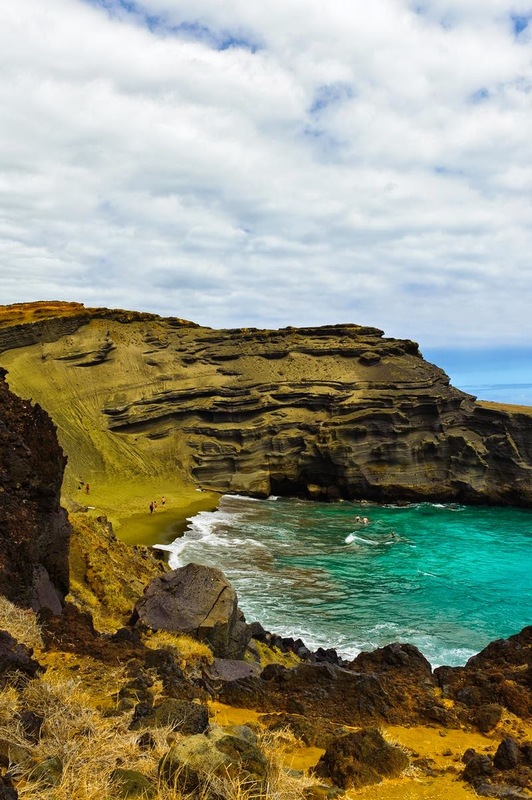 It gets its distinctive coloring from the mineral olivine, found in the enclosing cinder cone. The cinder cone is rich in olivine, a silicate mineral containing iron and magnesium, also known as peridot when of gem quality. 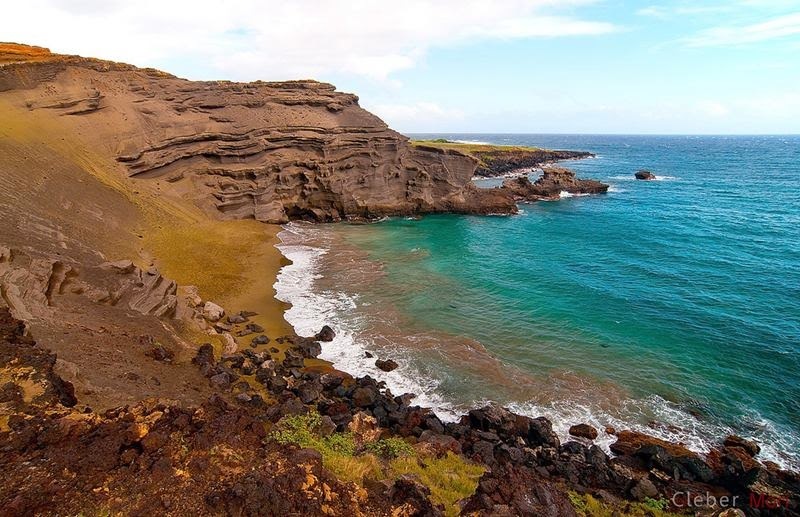 Olivine is a common mineral component of Hawaiian lavas and one of the first crystals to form as magma cools. 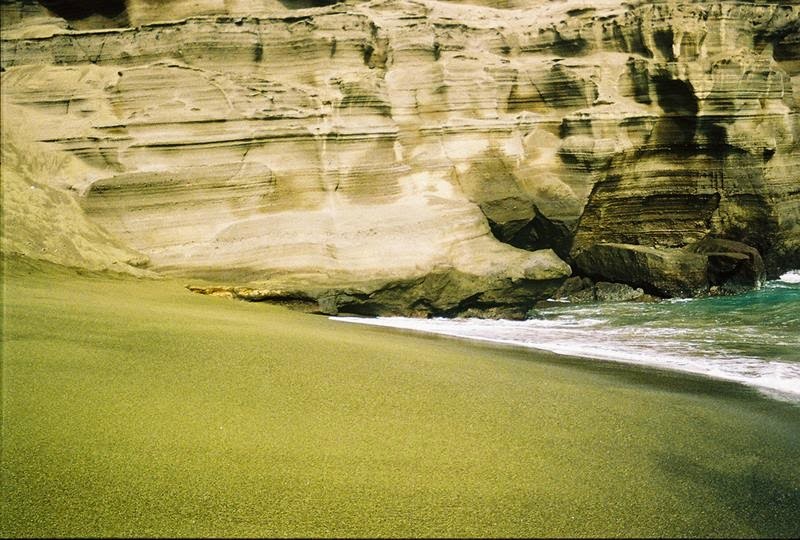 Olivine is locally known as "Hawaiian Diamond" and is notably found in O'ahu's famous Diamond Head landmark. 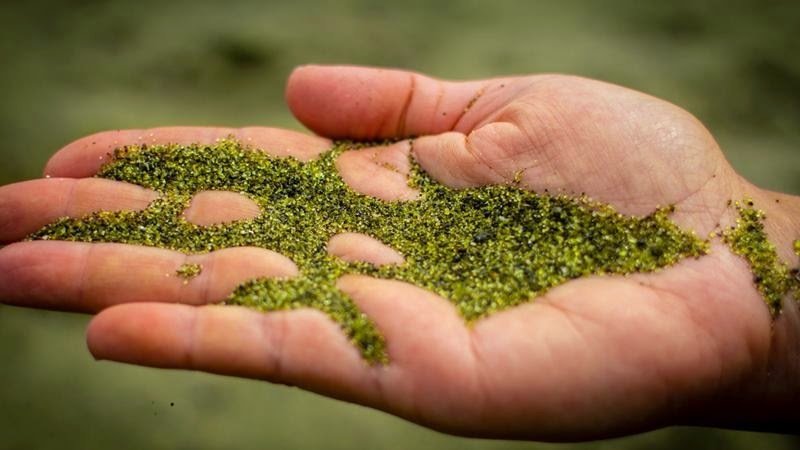 The source of the green coloration of the beach sands is due to the olivine crystals which are winnowed from the eroding headland by the action of the sea. 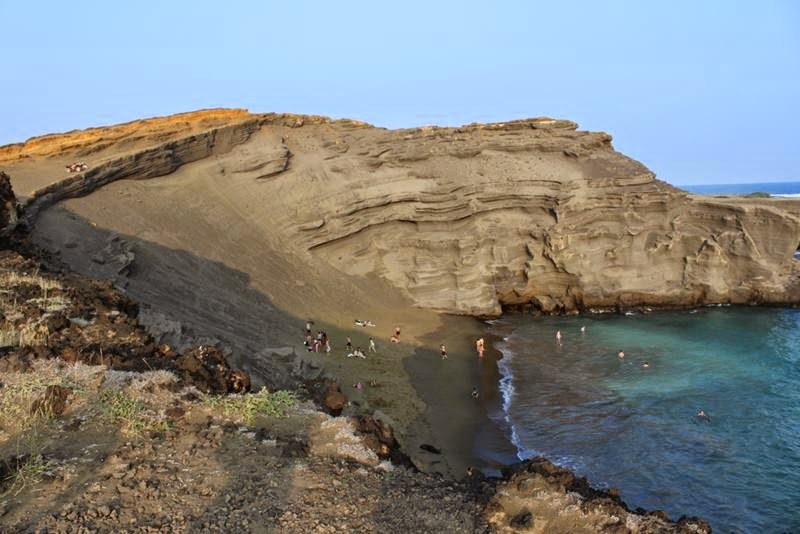 Olivine, being denser and tougher than the ash fragments, glass and black pyroxene of the rest of the rocks and lava flows, tends to accumulate on the beach whereas the usual volcanic sand is swept out to sea. 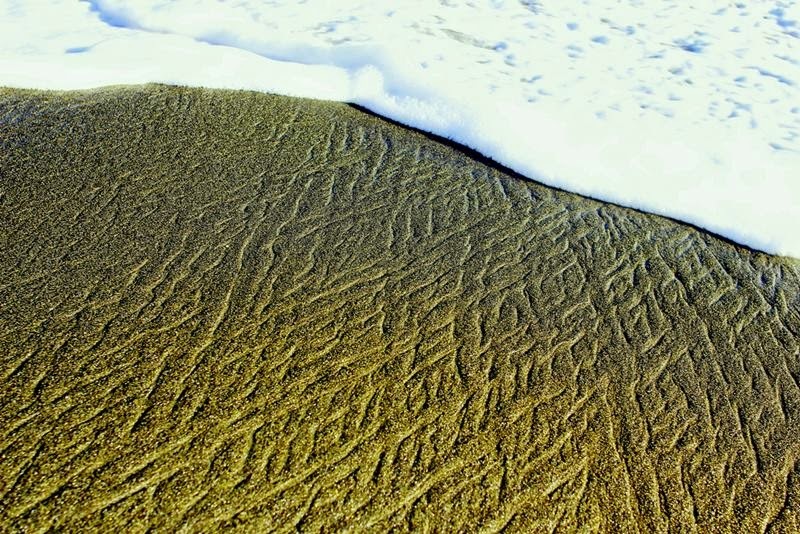 Although these crystals are eventually washed away as well, the constant erosion of the cinder cone ensures a steady supply of sand for the foreseeable future—eventually, however, the supply will run out and the beach will look like any other.